The Well-Read Redhead: It's Time to Talk About OUTLANDER! Hello, reader friends!! I know, I fell off the face of the Earth, AGAIN. Lots going on in our household lately--all good things, no worries, but it's left very little time for blogging. 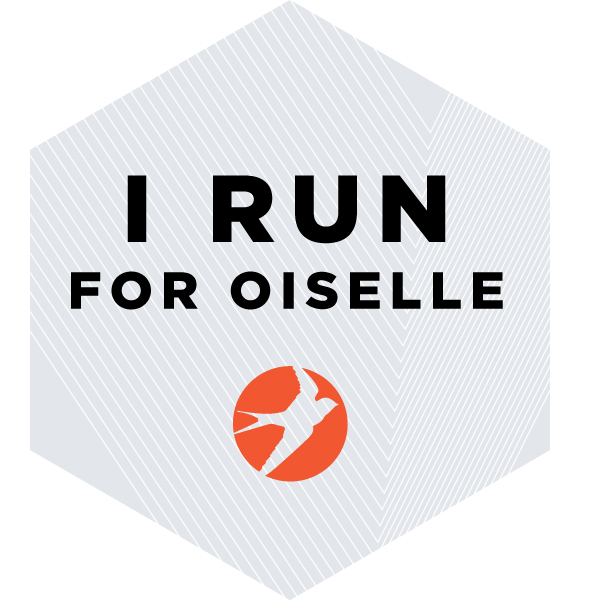 (Even this post was pre-written, as I am running the Flower City Half Marathon today--WOOHOO!!) That said, I've been chomping at the bit to talk with you all about Outlander by Diana Gabaldon! If you follow me on Instagram, you know that I finally decided to tackle this much-talked-about tome. I've had a copy on my shelf longer than I've been married (9 years this year, woop!). I think there were two things that kept me from picking it up right away: the length (800+ pages, in a series of books that are ALL 800+ pages, feels like a huge commitment) and the genre (historical fiction is OK by me, but romance is not my forte). However, the time had come. I had to see for myself if the hype was warranted. (A quick synopsis for those unfamiliar with the novel, from Goodreads: The year is 1945. Claire Randall, a former combat nurse, is just back from the war and reunited with her husband on a second honeymoon when she walks through a standing stone in one of the ancient circles that dot the British Isles. Suddenly she is a Sassenach—an “outlander”—in a Scotland torn by war and raiding border clans in the year of Our Lord...1743. ANYWAY. I tried to let all this slide. I was in for the long haul here, and I had to believe there was more in store. After Claire time traveled and settled into her new home at Castle Leoch, that's when things turned over for me. 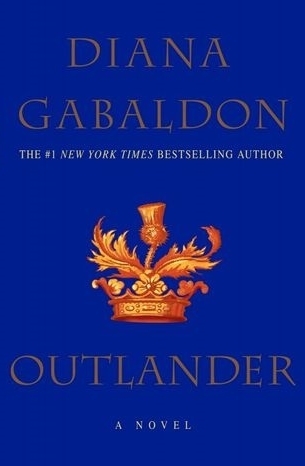 Gabaldon's period details, plus Claire's sassy attitude, AND the ever-so-delightful introduction of Jamie Fraser, turned this into a totally different novel for me. I was totally on board. And, I'm happy to say, completely taken with Claire and Jamie's romance. I love how it has this constant undercurrent of "but what about Frank?!" as you wonder about the husband that Claire left behind. Can't wait to see more of that in the rest of the series. 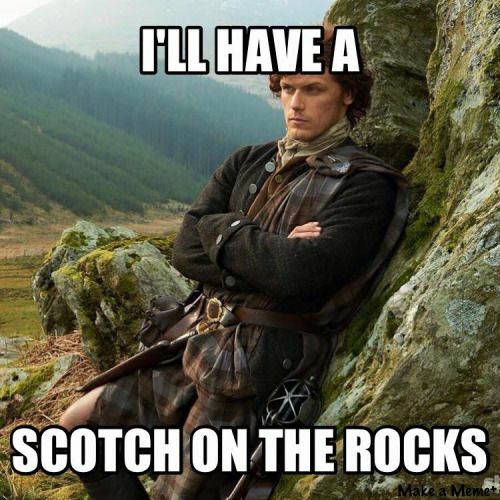 The Jamie Fraser memes out there are just hilarious. I don't want to give any spoilers for others who haven't read it, but by the end of the book, I was completely taken. 100% on board the Outlander train. I did have a lot of hesitations, both before I started reading and within the first several chapters, but I was happy to see all of those hangups dashed by the time I reached the final page. That said, while I think readers who don't often read romance could still enjoy this book, it would be awfully hard to like it if you don't have a thing for historical fiction. That's definitely the dominant genre here, and the details that drive it make up many of the 800+ pages. Yaaaaaaaaaaaaaaaaaaaaaaaaaas!!!!!!!!! 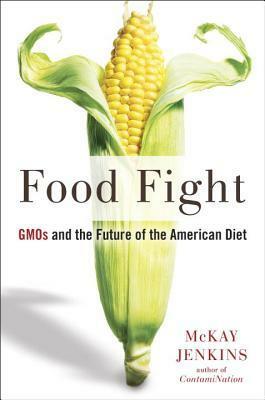 I remember my mom telling me about the premise of this book and I was like "this sounds utterly ridiculous." But then, well. The whole Jamie and Claire thing totally won me over. Oh and a word to the wise. I remember when I started book 2 thinking that I'd really missed something because what in the heck was going on? Don't worry, you didn't pick up the wrong book in the series. But be prepared for guts to be wrenched. All the guts. I did see that the second book picks up wayyyy far beyond the end of Outlander, it had me confused when I was trying to pick out the second novel. Thanks for the warning about my guts, though. EEEK. Haha! Well...yeah. That was something. :-O That whole scenario was so intense and kept me pretty well glued to the book until it was over. As violent/awful as it was, I like that Gabaldon was not afraid to include some unexpectedly horrific elements to the story in order to illustrate a larger point (Jamie's devotion to Claire and vice versa). I did think the way Claire got him to suddenly "recover" from his aversion to her afterward was rather rushed and unrealistic though--that bothered me. I'm interested to see how this affects Jamie in future novels, I can't believe it won't come up again. Jamie has classic PTSD in second book. Claire didn't get him to "recover" in OL, just helped him find the will to live. Okay true. I guess I need to suspend my disbelief a bit...haha. For whatever reason, I found that harder to swallow than the time travel! YEP YEP YEP! Page 250 (after THE EVENT), I was all in. I sucked this book down fast and I marathonned the next three. SO GOOD. I have SO many good books to read right now, but Dragonfly in Amber is staring me down from the nightstand! Pleasantly surprised by this series for sure.